Universities like to confine their knowledge within classroom walls and detached from the real world awaiting the students. So after 120 semester hours of sitting, listening and testing, graduates don't have a clue about what is possible -- or how all that knowledge will permit fulfillment of their dreams and aspirations. Some argue that internships and career counseling serve this purpose. But these activities come too late in the curriculum, being viewed by many as non-academic and secondary to scholarship and study. Why should education be limited to textbooks and lectures? Why must experiential learning and career contemplation be viewed as less intellectual and therefore segregated from academic knowledge? Fortunately, I had a unique opportunity to experience something different. Through UT's Intellectual Entrepreneurship Internship program, I was given the rare chance to own my education. I share my experience, hoping that changes will be made in undergraduate education that will result in more opportunities like this one. Because of overwhelming turmoil caused by the Shining Path Maoist guerrillas, my parents left my home country, Peru, when I was only 4 years old. Although a painful sacrifice, my parents wanted their three daughters to succeed and prosper in this "land of opportunity." I studied hard in school, believing this would ultimately secure a life of fulfillment. At the end of high school, I grew nervous about finding my career and began exploring engineering and medicine via structured outreach programs at Stanford, MIT, Baylor and my magnet school's medical rotations classes. However, I remained unconvinced and, while at Duke University, retreated into a state of despair -- worrying I would never find my vocation. I continued with my pre-med track as was expected: my oldest sister was already a physician and the other was in medical school. I probably would have become a physician had I not confronted the greatest challenge of my young life: becoming a mother. Facing unintended pregnancy, I knew I could no longer approach my future passively. The search to find my "calling" resumed in earnest and I began exploring the possibility of a career in law. I transferred to UT and stumbled upon an unusual curricular offering: the Intellectual Entrepreneurship Internship. A largely self-directed internship, this class was unlike any other. Rather than being delivered in the typical didactic fashion, where knowledge is known in advance and spoon-fed to students, the IE Internship encouraged me to think like an entrepreneur -- to study myself, my knowledge and the career I envisioned. With a faculty supervisor and graduate student mentor, the IE Internship allowed me an insider's look at law. The site of my internship was the Children's Rights Clinic at the Law School, which proved to be the most valuable educational experience of my college tenure. For the first time I asked questions for which I genuinely sought answers, directed the course of study and collaborated with my supervisors to create the most enriching experience possible. This entrepreneurial exercise dispelled many myths I held about the legal profession, including showing me that being a good lawyer and a good mother were not mutually exclusive. By bringing together in one class my personal, academic and professional interests, the IE Internship helped me discover and own my education. Because of my experience, I urge university leaders not just to think -- but to live -- outside the box, recognizing the sometimes stifling nature of undergraduate education. It's not enough to shuffle curricular requirements and create more programs. The structure of education itself must be re-envisioned, permitting students opportunities to learn beyond classroom walls and with an entrepreneurial determination. 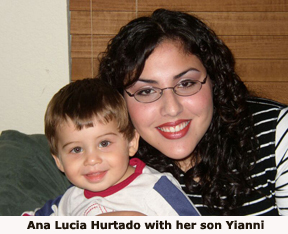 Ana Lucia Hurtado is a psychology and communication senior at The University of Texas at Austin. Information about the Intellectual Entrepreneurship Internship is available at www.utexas.edu/coc/cms/faculty/cherwitz/.